Q-nomy’s Take a Number system is a great first step towards creating a better customer experience in your reception and waiting rooms. As simple to use as any basic ticketing solution, our solution's great added value lies in its unlimited expansion options. 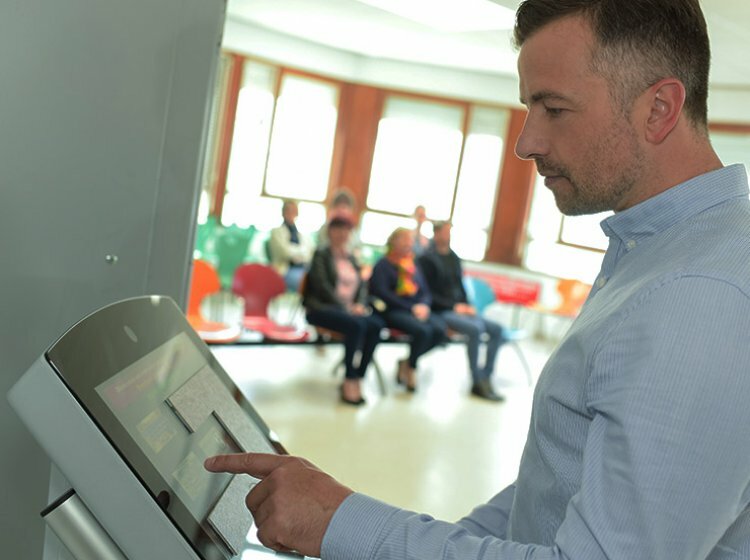 Thus you can start with a very straightforward ‘take a ticket’ software, but anytime in the future you can add prioritized queuing, appointment-based line management, and any other complex routing logic that your business may require. Organizes waiting lines, creating a better customer experience and more relaxed atmosphere. Reduces the perceived waiting time and improves the level of service. Provides performance and service level data analysis, helping managers streamline the customer service and reduce operation costs. We have a solution for any size of organization - small or big. Full upgrade path - from simple line management to sophisticated customer routing. Hardware independence - install any kiosk, display, audio equipment and so forth. Flexible solution capable of addressing any business requirement.